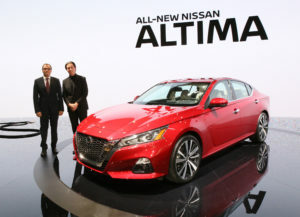 Nissan said earlier this month it was able to cut about 11 percent of the 2019 Altima platform’s mass “due to greater use of high strength steel” in the next generation of the popular sedan. “Overall vehicle weight is reduced by 18 pounds despite higher feature content,” spokesman Kyle Torrens wrote in an email July 17. He didn’t reply further to our inquiry about the steel or aluminum within the 2019 Altima, which goes on sale this fall. However, Nissan in June announced it would seek to have 25 percent of its vehicle parts weight derived from ultra-high-strength steel components of at least 980 megapascals, debuting a new high-formability 980 MPa steel on the 2019 QX50 on sale now. About 27 percent of that crossover is ultra-high-strength steel 980 MPa or more. So repairers should keep an eye out for the possibility of more extensive high-strength steel — and the associated repair restrictions — in the 2019 Altima when the car comes out this fall. Nissan sold just a few Altimas shy of 255,000 last year. “The Altima proportions gave us the freedom to create a body that’s simple and streamlined, with a strong horizontal movement. Unlike typical sedans, the surfaces and body panels are anything but boring, with shoulder twists and sharp sheet metal stampings capturing and reflecting colors and light,” Nissan global design Senior Vice President Alfonso Albaisa said in a statement. 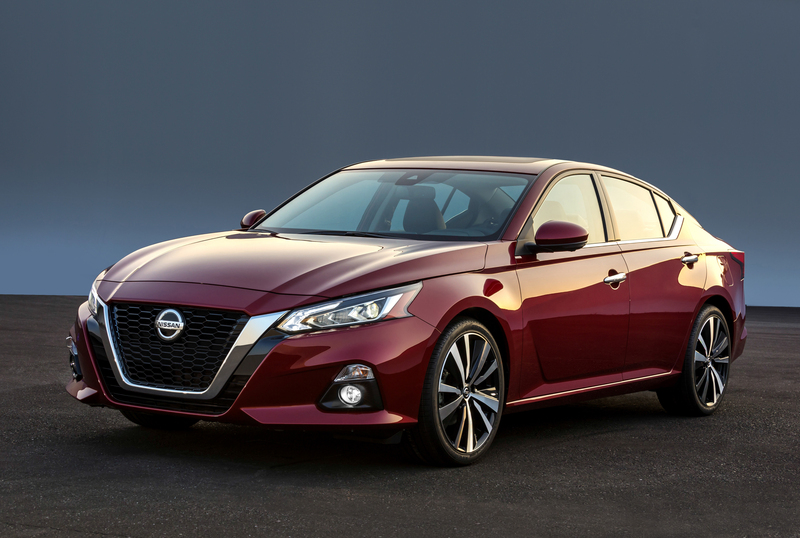 Speaking of colors and light, painters should be aware that Nissan will offer the car in a spectrum that includes two “Altima-specific” hues. These will likely introduce additional complexity into the aftermarket paint booths. 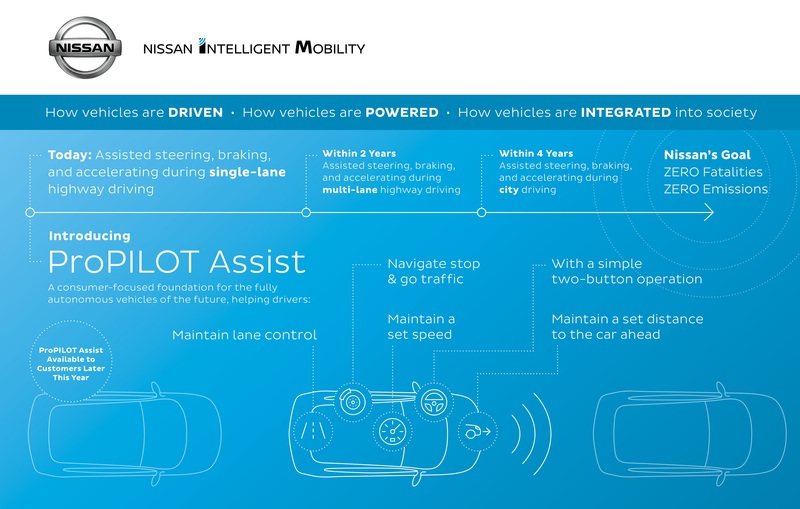 The other big news for body shops here is Nissan’s decision to make the semi-autonomous feature ProPILOT Assist available standard on the SV, SL and Platinum trims — three out of the car’s five grades. The car can steer itself and maintain a distance between the vehicle in front within a single lane, though the driver is still required to keep their hands on the wheels and pay attention. It’s Tesla’s Autopilot on one of the country’s most popular vehicles. This means that repairers will need to adhere to the Nissan repair procedures related to scanning, recalibrating and preserving the function of those parts. Find out more here with Nissan’s position statements and OEM procedures website (which works best with Internet Explorer). Other ADAS systems include standard autobraking and driver alertness checks on all trims, and the three grades with ProPILOT Assist standard also come standard with rear autobraking. Options include “LED projector headlights with signature Daytime Running Lights” and LED foglights. A “floating roof with slim pillars and single panel moonroof” are available.